Sale price of $174.99 is already listed in the link above, no discount code required. Mounts will ship in order received. First come first served. We should have around 5 ready to ship next week and 25 more ready to ship the week after. PM/Pass the good news onto all of your friends! How long will this price be available? Estimated 1 week, we hardly ever have sales on mounts, so now is the time to order and save. This is a 1 time intro price sale. Sure is, we ship USPS, best way to ship to Canada. Rates shown on our site prior to purchase/checkout. Work with a n/a 2013? 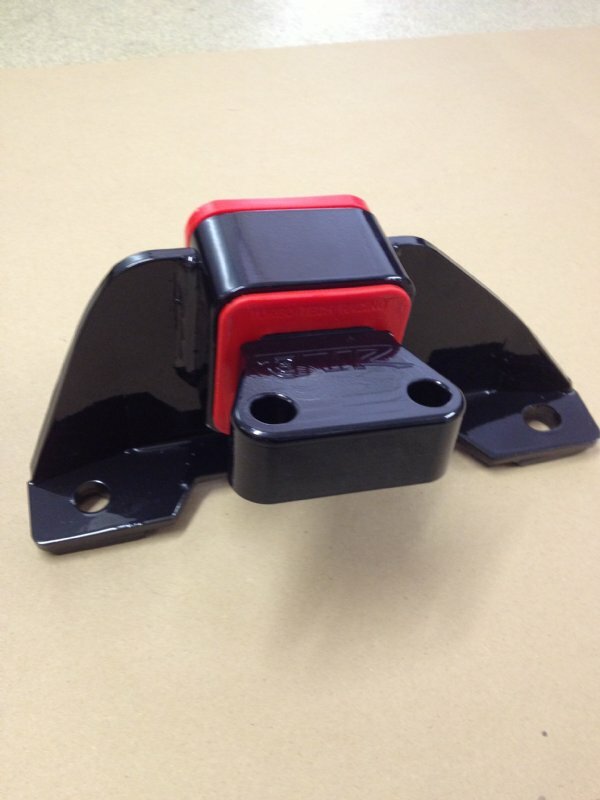 Post a photo of your stock upper mount and we can verify for you. - Installation: Installation was straightforward and easy. The included instructions were put together well and easy to understand. Overall this isn't a difficult installation so there's not much to mention here. The only thing NA users should note versus the ST version, is that an A/C line is piped right above the motor mount, and the TTR mount can be a little difficult to fit under it during installation. Make sure you don't pull too hard on the A/C line, it fits you just have to put it in right (that's what she said). Also there is a bracket on the top of the stock mount that helps secure that A/C line that you no longer use with the TTR mount. IMO it's not needed, it's plenty secure as is...so no worries there. - Initial Thoughts (First Startup): When I first started the engine after installation the vibrations were more then I expected. TTR does advise a 500-1000 mile break in, so do realize it doesn't stay like that. There are fairly considerable vibrations throughout the RPM range, with a bit more rumble around 1500-2000 rpm. There is is an increase in noise. Getting things moving, however, is where it all falls in place. The motor is super secure now, it barely moves at all. Note that I also have the e-Focus rear motor mount, which will remove some additional movement. The e-mount did OK on it's own, worth the money for what it does...but the TTR upper mount really clamps things down. You don't realize just how much the motor moves (especially while driving enthusiastically...) until you get this on there and drive it. It's a completely different animal. The gearbox shifts a bit smoother, especially downshifts at higher RPMs. You can get on the gas a little quicker, presumably because after it shifts you have to wait for the motor to stop moving around. Downshifts feel good and firm and upshifts are tightened up a bit as well. Low speed driving (think parking lot/gridlock traffic speeds) are also much more pleasant. If I keep it in first in a parking lot, it used to bang around a lot if I went more then about 5mph. It would jerk me around every which way, and it was annoying. Now, it's much smoother and all you feel is the deceleration from the engine braking, not excessive engine movement. - Thoughts After Break In Period: While I'm not entirely through the advised break in period (I'm at 300 miles), things have significantly improved. Vibrations throughout the RPM range have reduced greatly. They're still there, but unless you're trying to notice it, or you value a super refined ride, then you don't really notice. There is still a bit of a rumble at lower RPMs but it has also greatly improved and isn't too bad. It doesn't rattle the loose change I have in the car, to give you an idea of how it feels. It's still a bit noisy...but it's not a bad noise in my opinion. The motor sounds a lot sexier now...sounds a bit like the motor noise (not exhaust note...) of a modern V8. I'm not sure how it sounds outside the vehicle (I don't know many folks that could remember how it sounded stock to compare...). There's no drone at freeway speeds, and for "normal" driving it's not a huge increase. But when you get on it...it sounds freakin' sweet. - Vibrations/Noise: To speak directly about the noise and vibrations, it's a bit difficult to accurately describe the noise and feel of the new mount. It's a combination of both that can make it difficult to know if you're hearing noise or feeling vibrations. What I did to judge my level of satisfaction with vibrations was to see if ANYTHING in the car vibrated (outside of the motor and chassis, of course). When I first installed it there were quite a few rattles and vibrations from the dash, and the hatch and elsewhere. Now those are all gone, and the loose change I keep in the weird container thingy (you all know what I mean...) doesn't rattle any longer. You can, however, still feel a slight vibration in the steering wheel, especially when the engine is under load. It gets very minimal once you hit cruising speed. As for the noise, I wasn't sure where to go with this. On the one hand, the mount is definitely louder then stock. Just like the vibes, though, at cruising speed it's not much louder then stock. But when you get on it it starts singing. At this point in time, I absolutely love the sound. Yes it's loud, but it's not so much that it is unbearable or gives me a headache. I find I can turn the radio up a notch or two and you can't hear it (while cruising and such). But when you start to run it hard it emits a rather pleasant noise that is hard to describe. It's pure engine noise, so I imagine those outside the car probably can't hear any difference...but inside it sounds like a small(ish) displacement V8 is up front banging away doing awesome things. - Customer Service: I didn't exactly order this through their site, so I can't comment too much on the ordering process, but Aaron was very helpful in getting this mount made and answering questions after the install. - Overall: Overall I think this is a solid buy for the enthusiast who wants a greatly improved feel while driving, and doesn't mind some extra vibes or noise. Those who value a refined and quiet ride probably won't be satisfied with this...although I suspect most other performance motor mounts won't suit them either. I can't compare to any other mounts, so I won't...I do know that my experiences have been good so far, and as of right now the noise and vibrations have come to an acceptable level for me, so if they go down more then great, and if not then oh well. The improved feel of this car while driving is fantastic now. pblaetz and Focus Filipino like this.